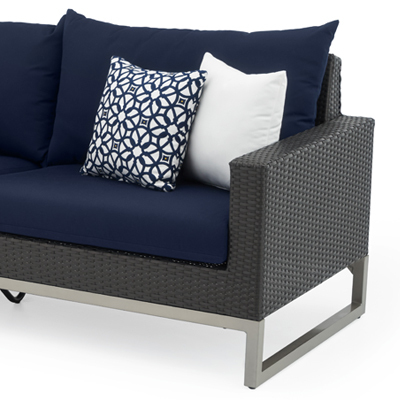 With our Milo Sofa you can bring all the comfort of your living room to the outdoors. 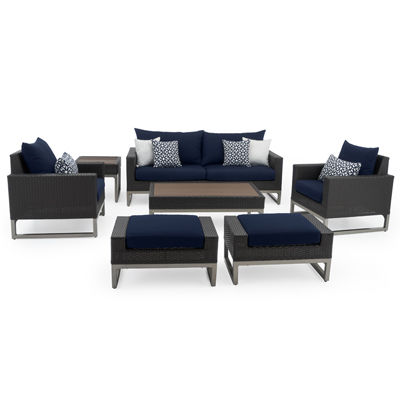 Weatherproof and durable, this piece will have you and your family lounging in the fresh air without worry. This generously sized sofa has a light, versatile look and designer coordinated accent cushions to keep you relaxing in style. Set includes a 78-in. 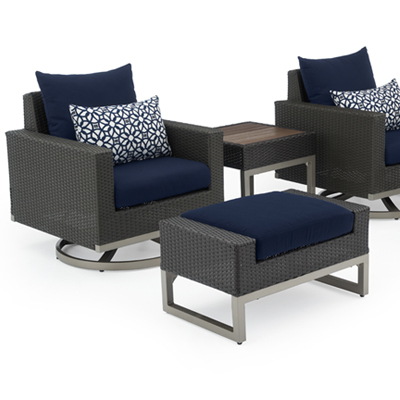 one-piece sofa with four accent cushions. Frame is constructed with high quality, powder coated aluminum for years of durability. 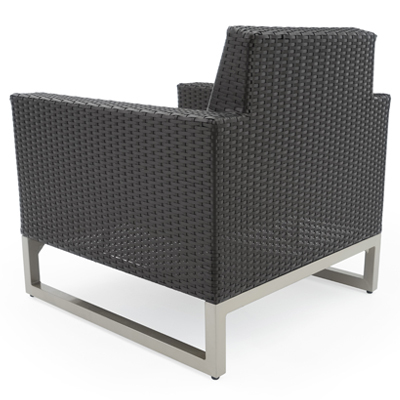 Hand-woven SolarFast® resin wicker is UV, weather, and water-resistant. Sofa comes fully assembled, with minor cushion cover attachment required.